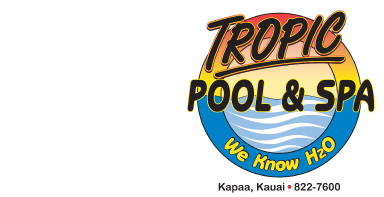 Welcome to Tropic Pool & Spa, Inc.
Tropic Pool & Spa an owner operated business was founded on Kauai in 1988. 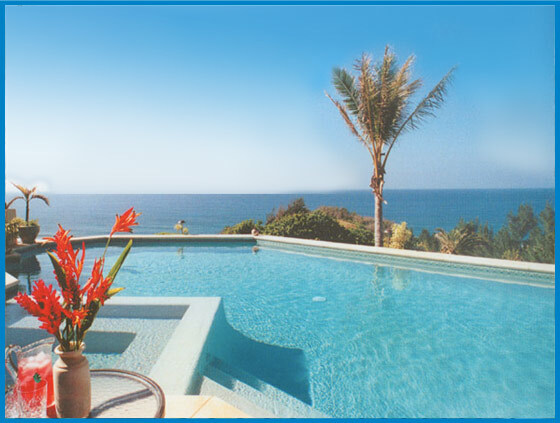 Started primarily as a pool service, Tropic Pool & Spa has developed to be Kauai's premier pool & spa company. We have gained the reputation island wide for extensive experience, top quality craftsmanship and a very sharp eye for detail in every aspect of the swimming pool & spa industry. As a small company, we have the freedom of developing a solid working relationship with each one of our clients. This means greater personal attention to the needs and desires of each homeowner. Company president Helen Bice oversees each project in a professional and aloha spirited manner. Tropic Pool & Spa can build the pool of your dreams or perform a complete remodel of your existing pool. Tropic Pool & Spa uses only the highest quality equipment and materials available. Please take a look at our gallery to see just a few examples of the options available for your swimming pool.